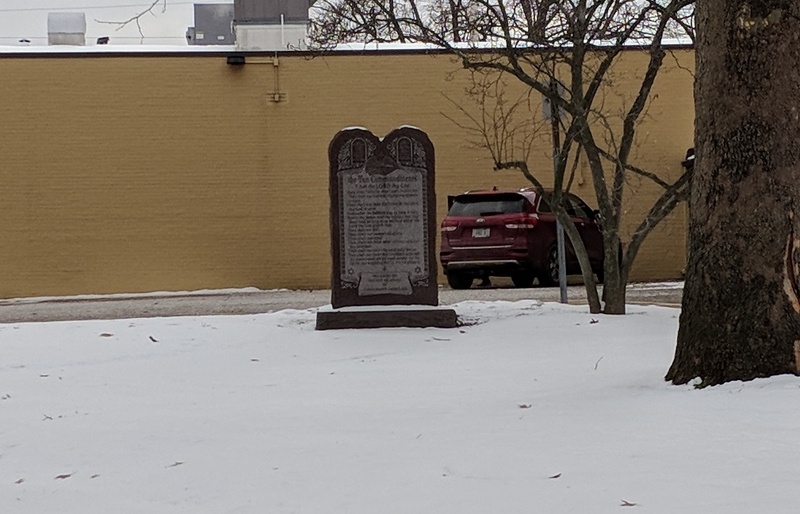 The Freedom From Religion Foundation has persuaded the city of Dover, Ohio, to transfer a nativity scene and a Ten Commandments monument from public to private property. A concerned area resident reported to FFRF last holiday season that each year during this time, the city of Dover was displaying religious exhibits on city property, and FFRF contacted the city then to let it know of the unconstitutionality of its practice. The city responded in April informing FFRF that Dover would no longer have such overtly Christian monuments on city property. Now, come holiday time, the media has been reporting on FFRF’s constitutional victory. FFRF is especially gratified that Dover city officials followed Line’s advice in one particular aspect. Line wrote, “There are ample private and church grounds where religious displays may be freely placed,” and it is to a church that the city of Dover has gotten the exhibits relocated. FFRF is appreciative that reason and our secular Constitution have prevailed. The Freedom From Religion Foundation is a national nonprofit organization with 32,000 members and several chapters across the country, including almost 800 members and a chapter in Ohio. Its purposes are to protect the constitutional principle of separation between state and church, and to educate the public on matters relating to nontheism.